Other photos: Bow, Port Profile, Bridge Forward, Upper Helm, Photo 5, Fully Equipped Upper Deck Bar, Upper Deck Bar & Entertainment Area, Upper Deck Fwd / Top Deck Access / Hot Tub, Upper Deck Aft, Forward Stairway from Upper Deck to Cabin, Aft Stairway from Upper Deck to Aft Deck, Top Deck Forward, Top Deck Aft / Radar Arch, Salon Forward, Salon Starboard / New Flatscreen to be Installed, Hideaway Lower Helm, Dining Area Aft, Galley Aft, Galley Forward, Guest Stateroom / Office, Starboard Side Hallway, VIP Guest Stateroom, Guest Head / Shower, Master Stateroom, Master to Starboard, Master Head Access, Master Shower, Master Jacuzzi Tub, Stack Washer Dryer, Jet Boat Craddle & Winch (Boat excluded), John Deere 300 hp Diesel Engines (900 hrs). $50,000 Price cut 4/18. Owner says time to sell!! Sea Quence VI is a custom built river cruiser, designed and manufactured by Majestic Yachts Inc in Columbia, KY. This design became the model for the Legacy line of river cruisers built by Majestic. Sea Quence VI was designed to provide its experienced owners a very safe, comfortable and capable home on the water. After 13 memorable years they have decided to move ashore. SYS Yacht Sales is pleased to assist you in the purchase of this vessel. 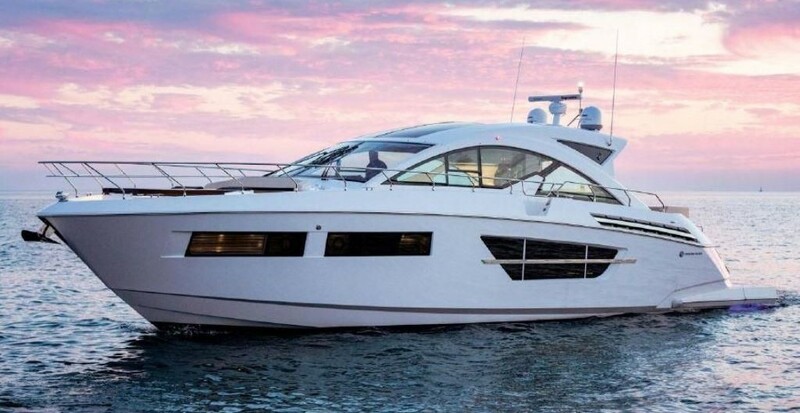 This boat is centrally listed by Nashville Yacht Brokers, Inc..